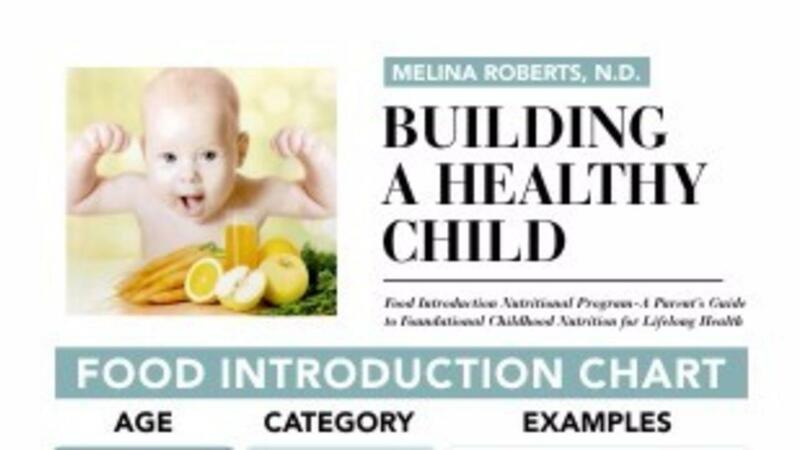 This is a Food Introduction Chart from Dr. Roberts' Building a Healthy Child book. It is laminated, sturdy and design to last and be an easy reference guide for parents. This is a laminated Food Introduction Chart from the Building a Healthy Child book. It is designed to be sturdy and last and be an easy reference guide for parents.